I had a different plan for Tuesday Ten this week, but of course I hadn't written it. Then a few things happened last night and this morning and the eye rolling got out of control. 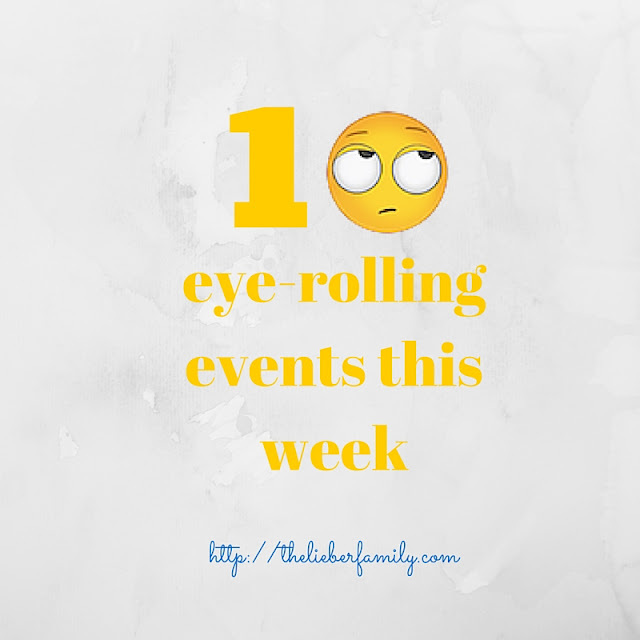 I thought to myself, "I wonder if there are ten things I've rolled my eyes about in the past few days? Surely NOT!" But of course I was wrong. I came up with this list at the traffic lights on the way to work. And I didn't even roll my eyes at the traffic lights since they were giving me time to write down my thoughts. 1. My parents came up for Ben's birthday this past weekend. I love my parents and I love it when they help me out. However, it will now take me another week to find all my dishes and get them back in the right places. Also, there are a lot of clothes missing because my mom hung them up downstairs, and I never put them there. 2. Frances and Henry have a violin concert this evening. She's supposed to wear all black, so I told her to get her clothes ready last night so I would know if she needed anything. This morning she came downstairs in a cotton skirt and a black velvet, long-sleeved top. I rolled my eyes thinking about how hot she was going to get today and then let my cereal get soggy as I went on a quest to find her a less heat-stroke-inducing top to wear! 3. Last night when we got home from school/work, Henry casually mentioned that he had seen his jacket in the trash the night before. The outside trash. That gets picked up on Monday mornings. His heavy winter coat that we had bought after he lost his other good winter coat. I could think of no good reason why someone would have put his coat in the trash, and he had no explanation for why he had waited until the trash had been collected to mention it. We scoured the house looking for the coat and racked our brains trying to remember the last time he had worn it. Then I found it. In the hall closet. Ugh! And what he saw in the trash can? A big, black trash bag full of birthday trash! 4. We got out a cooler for the ice at Benjamin's birthday party on Sunday. We never ended up using the ice. Nor did we remove the cooler from the kitchen. I found quiet the puddle this morning when I walked in. I got a few towels to clean it up. Then I discovered the rest of the puddle! Good thing I wasn't planning on wearing socks this morning! 5. In related news, Benjamin needed to throw something away this morning. He walked almost all the way to the kitchen and then turned around. I asked him what he was doing and he shouted at me about throwing something away. "Go put it in the kitchen trash!" I said. "I can't!" he yelled. Exasperated, I asked him why. "Because you said 'no socks in the kitchen!'" he yelled back. So the one time my kids actually listen to me, I still yell at them! Good one, mom! 6. Rain. Rain. More rain. The weather finally warmed up, but now it won't stop raining. I just want to see some sunshine!! 7. I have a great group of kids on my soccer team this year. I really am enjoying them. The parents, though? A few of them are driving me nuts! I had a parent drop off her son for our game on Saturday. Then I turned around to look for her and I couldn't find her. I asked her son where she was. "She had some errands to run." Seriously!?! She dropped her kindergartner off at a soccer game to go run errands! Why is she not staying to watch and cheer him on? That makes me sad. Plus she was thirty minutes late to pick him up after the game. 8. Bieber. That probably doesn't need much explanation, but I will anyway. Every time we get in the car, I hear a Justin Bieber song. Then it gets stuck in my head and I sing it all day. I finally get it out of my head and then it's time to go home. I get in the car, and guess what!?! Another Bieber song! 9. Yesterday, I had a series of things go wrong. I was at the point of wanting to thrown my computer across the office. Instead, I decided to take a break. I had an errand to run at the fabric store and there just happens to be a 7-11 around the corner. I decided that a Slurpee would be just the thing to get my afternoon back on track. And the Slurpee machine exploded on me! Good thing I was wearing dark colors! 10. I wrote it down this list and thought I had ten. Then I typed it and it turns out there are only nine. But that made me roll my eyes. Now I had list inception and item number ten. Yay! 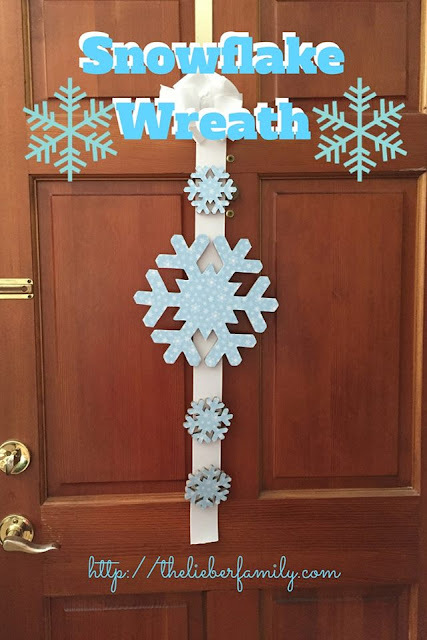 Tuesday Ten is a fun linkup created by Lisa @ The Golden Spoons and Rabia @ TheLiebers. On the first Tuesday of each month we make a list of ten things and link them up to share. Anyone can join in! If you would like to be added to the mailing list without linking up, click here. We hope to see you on Tuesday! 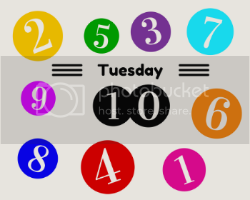 1) Link up a post, old or new, with a list of ten items and add our TuesdayTen button to your post or sidebar.